A new app is circulating on computers, tablets, and smart phones that lets users get rid of their sins electronically before Yom Kippur. The app, half serious and half funny, was developed by Sarah Lefton and her team at G-dcast, the media production company that strives to mash up media literacy with traditional Jewish learning to help educators and parents share biblical and other Jewish content with their children in a fun way. In Bible Times, Israelites atoned with sacrifices. Once a year, on what we now call Yom Kippur, the High Priest placed all the Israelites' sins on a goat and set it loose in the wilderness. The High Priest took two goats. He sacrificed one, and then he laid his hands on the other, transferring the community's sins onto it. Then, he sent the scapegoat off into the wilderness. 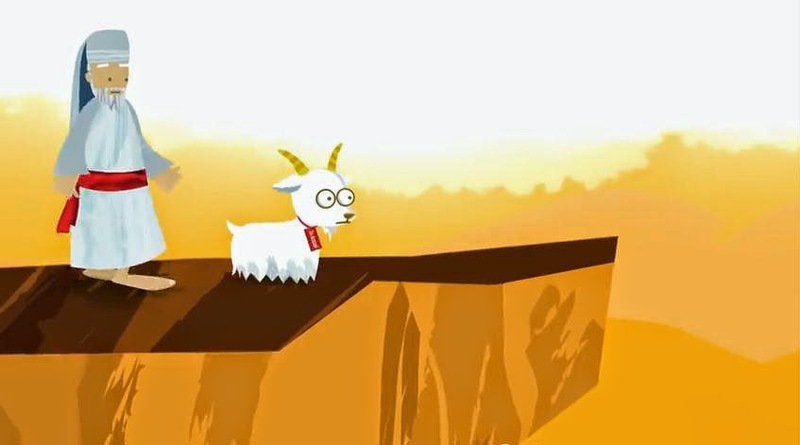 From the goat's perspective, neither path ended well. After this introduction, users are encouraged to enter their own sins anonymously, but include their email address, after which they are shown some of the other sins that have been entered by users. The app says: In preparation for Yom Kippur, atone* with the eScapegoat, but note that the asterisk is followed by a footnote that states "No actual halachic atonement implied." "I use walking the dog as an excuse to leave a party I don't want to be at." "I steal olives from my restaurant. A LOT of olives"
"I am sorry for being unreliable at times, cancelling plans just to make life easier. " "I'd tell old lady co-workers my wife doesn't cook so that they'd make me lunch." "I download Music from Torrent instead of buying legally from iTunes/beatport." "I stole a boy's shirt just because I had a crush on him. I wear it to sleep every night. " "Sometimes I pass gas near a group of my students and let them blame each other." "I was angry with my partner for being so career driven, I felt neglected but really I was being self centered."